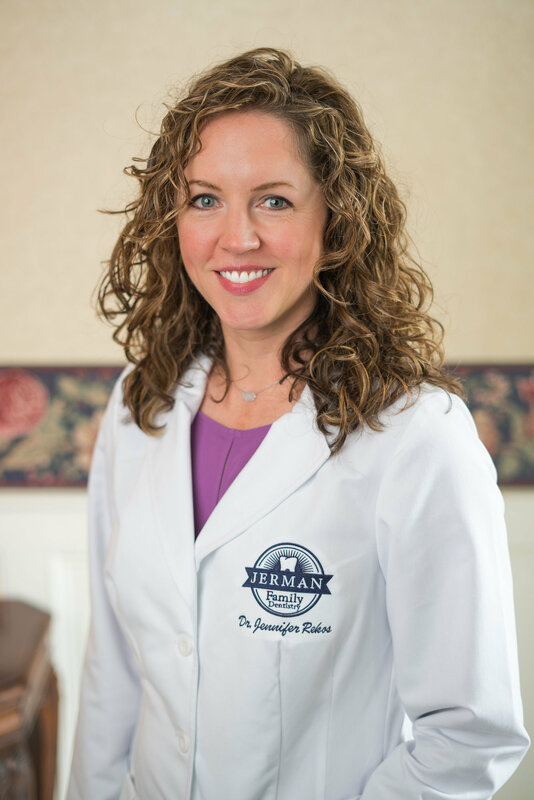 Dr. Jenn has a simple philosophy in dentistry, which is to treat every patient she meets with compassion, professionalism, and with a gentle touch. It is her goal to educate patients and families and guide them toward optimal oral health with preventative, conservative, high-quality dentistry. A native of rural West Virginia, Dr. Jenn and her husband, Greg, came to The Ohio State University to pursue post-doctoral education after dental school. Dr. Jenn completed a General Practice/Hospital Dentistry Residency and later an Implant Fellowship. Here, she gained valuable experience in complex treatment planning, cosmetic and implant dentistry. Dr. Jenn splits her time between her job improving smiles and her best role as mom to two young girls. Most days you will find her outside with the kids. She also enjoys cooking and CBJ hockey.